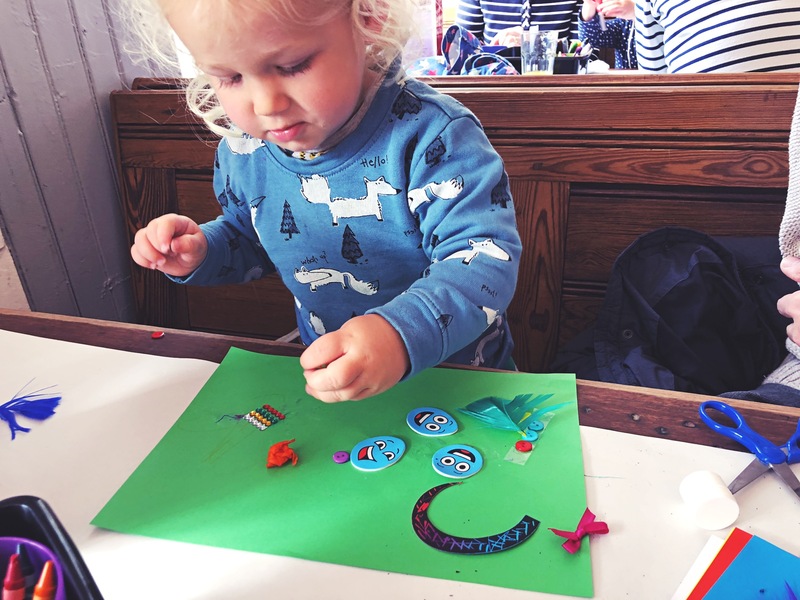 We went along to the Crafty Play Cafe at Three Sisters Bake in Quarriers Village yesterday to check it out. It is their new family friendly zone within the cafe and will be running on Tuesdays from 10am – 4pm. 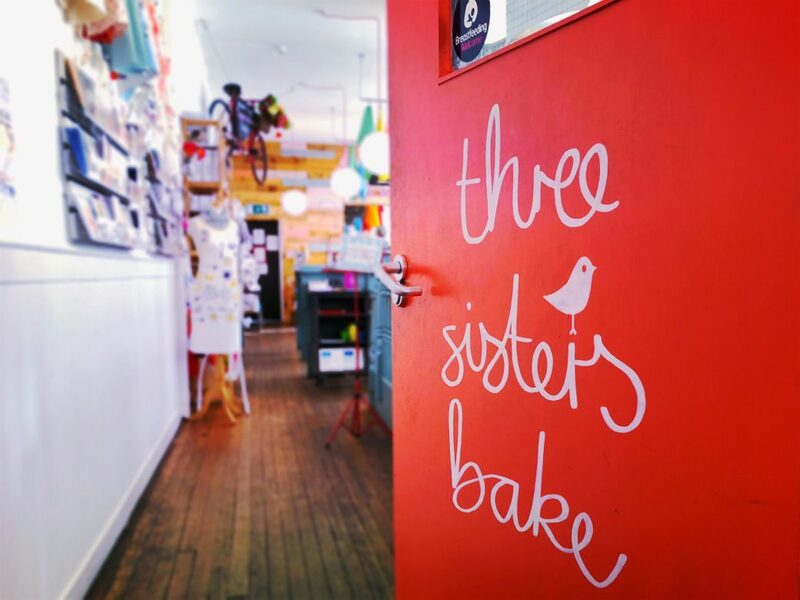 If you’ve ever been to Three Sisters Bake you’ll know that the food is absolutely delicious. At lunch time they serve up sandwiches (their coronation chicken sandwich is one of the best sandwiches I’ve ever had), quiche, mac & cheese, tasting boards and of course, their absolutely amazing afternoon teas. 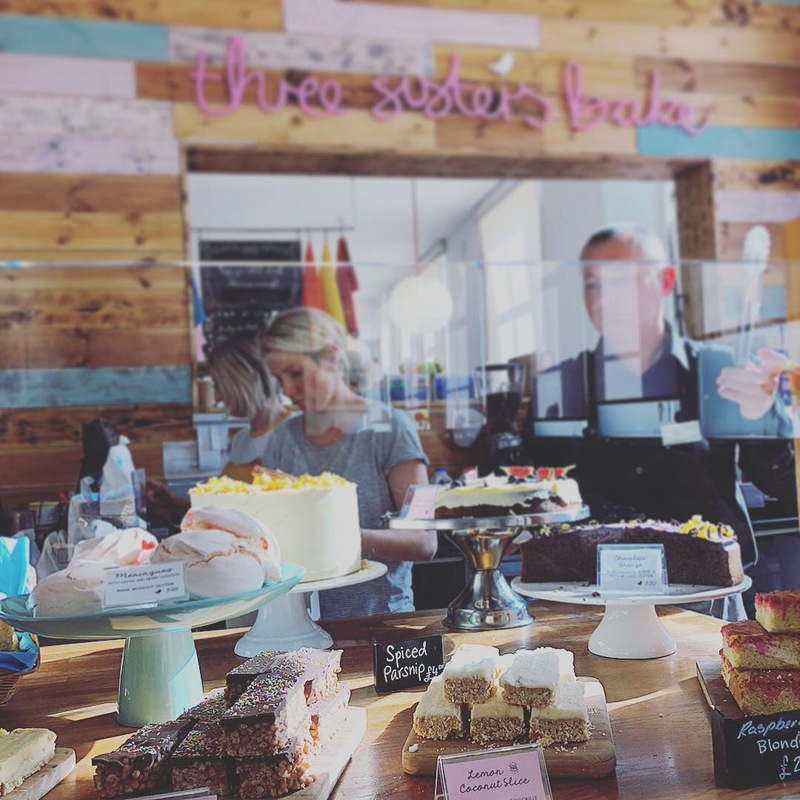 I had afternoon tea at Three Sisters Bake with the little lady just before she started school and honestly, it was absolutely delicious. I ended up coming home with a lot of cake which delighted my husband. They also serve brunch until noon, daily. I haven’t tried brunch there (yet) but it’s on my hit list. 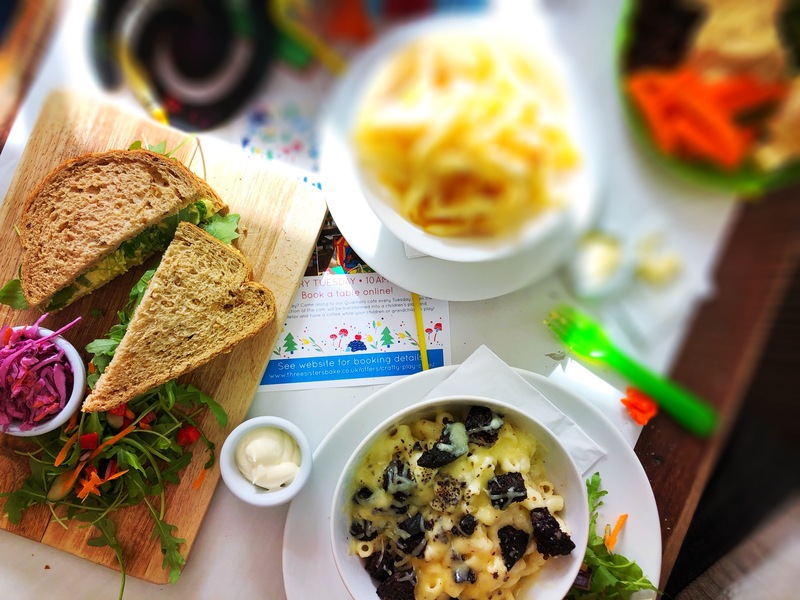 The kids menu has some breakfast and lunch options including scrambled egg and toast, sandwiches, toasties, mac & cheese and soup. 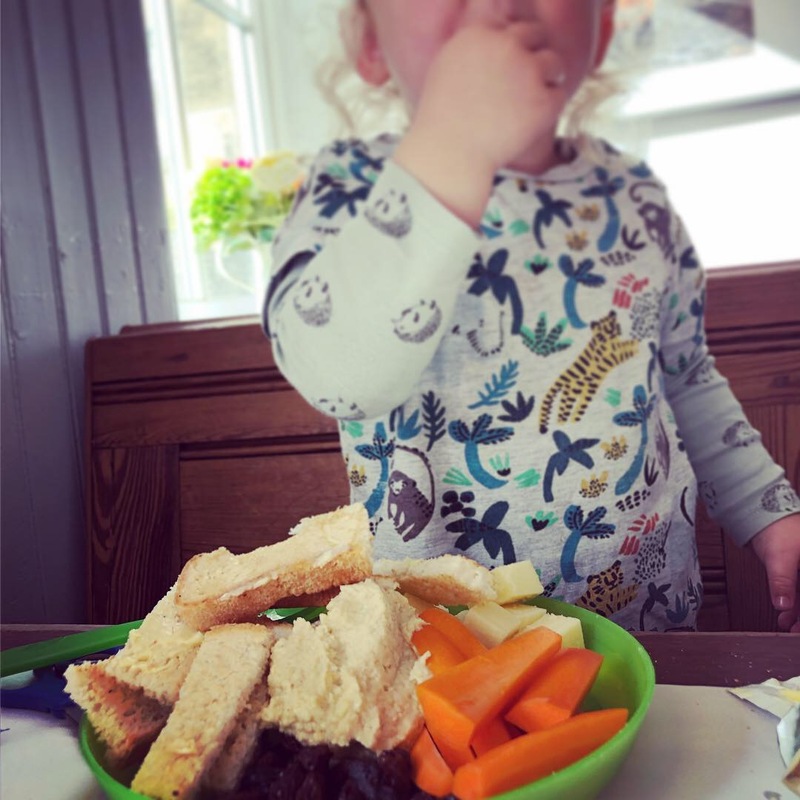 They also do an excellent picnic platter that has houmous, toast, cheese, carrots, cucumber and raisins; all the little man’s favourite things! 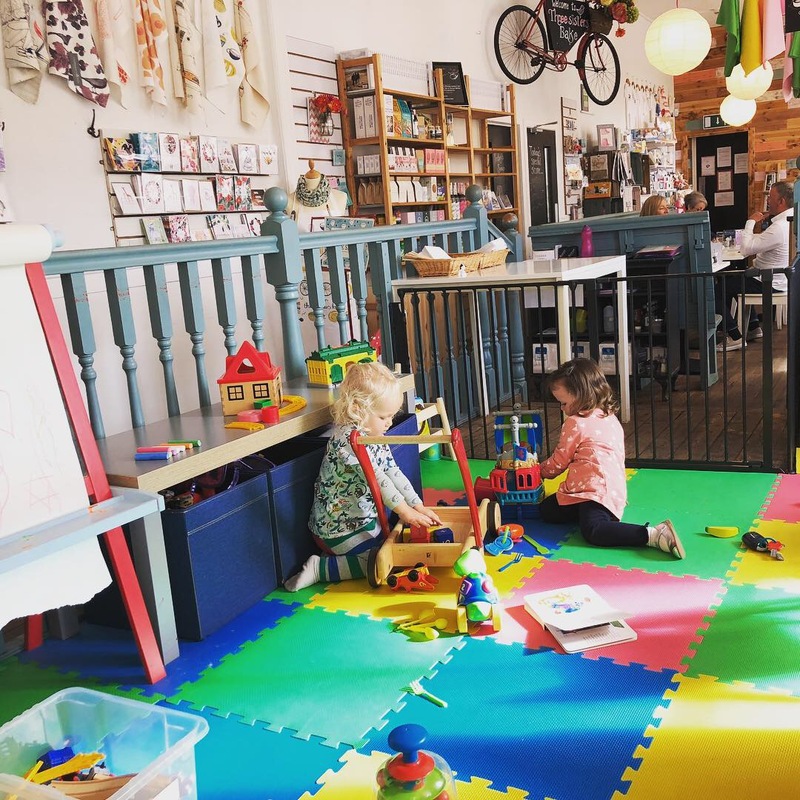 The Play Cafe section is separated from the rest of the cafe with a baby gate so they can’t run off and make an escape attempt/annoy other customers. Some of the tables from that area have been removed to make way for a little play area with a whole host of toys. The remaining tables are covered over with a tablecloth made out of paper, so if they draw on it or glue anything to it, it doesn’t matter. (Genius idea btw and one I might make use of at home!) Each table also has a little carry case with lots of coloured pens and crayons and pritt stick. When we arrived the little man was pretty hangry, and was ready to let us (and everyone else) know. Before we’d ordered anything, or even looked at the menu, we were brought a little folder with paper and stickers and tissue paper. When he was finished with his food he wanted to go and play with the toys. 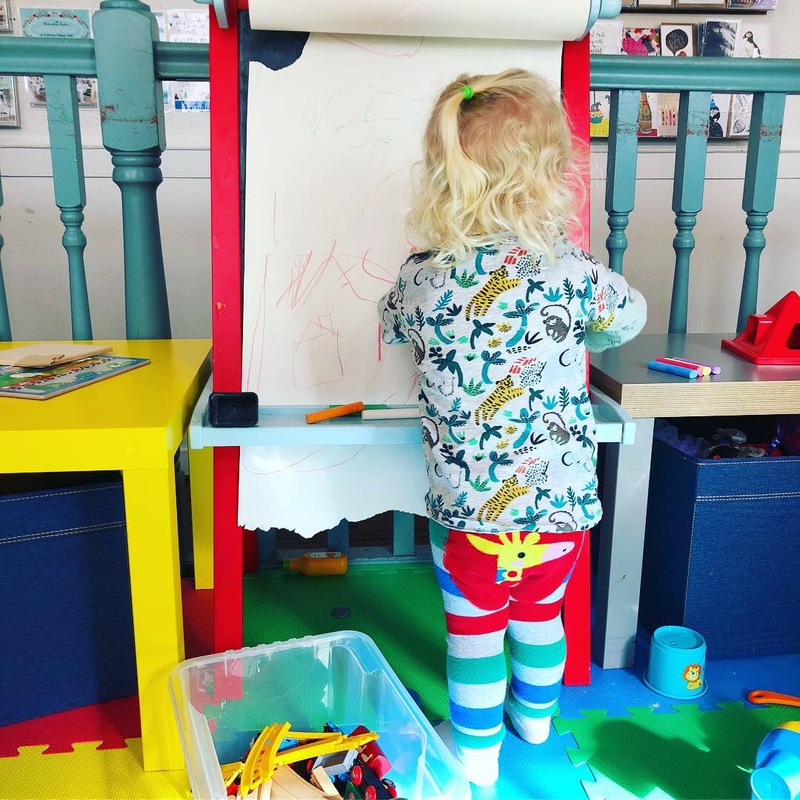 He had an absolute blast playing with the till and the kitchen, clambering in and out of the tent with a book, doing puzzles, drawing on the chalkboard and playing with all the other toys he could find. We sat and finished our lunch and then our tea while he played. Our only worry (and this is just the standard, everyday anxiety that I live with) was whether he’d share and play nicely with the other kids or whack someone over the head with a solid piece of plastic (or worse, something wooden), but having been fed prior to playing he was in a good mood and all went very smoothly. The baby gate remains closed much of the time; staff don’t come in and out of it. Instead, you go and order your food at the till. The staff then bring it over to a little table just outside the baby gate. You collect it from there and take it to your table. I also need to mention that the staff are exceptionally nice and friendly and really great with the kids. You just pay for what you eat. There isn’t any extra charge for a table in the Crafty Play area behind that baby gate! You can buy a craft pack for £2 which contains coloured paper, stickers, buttons, tissue paper etc. 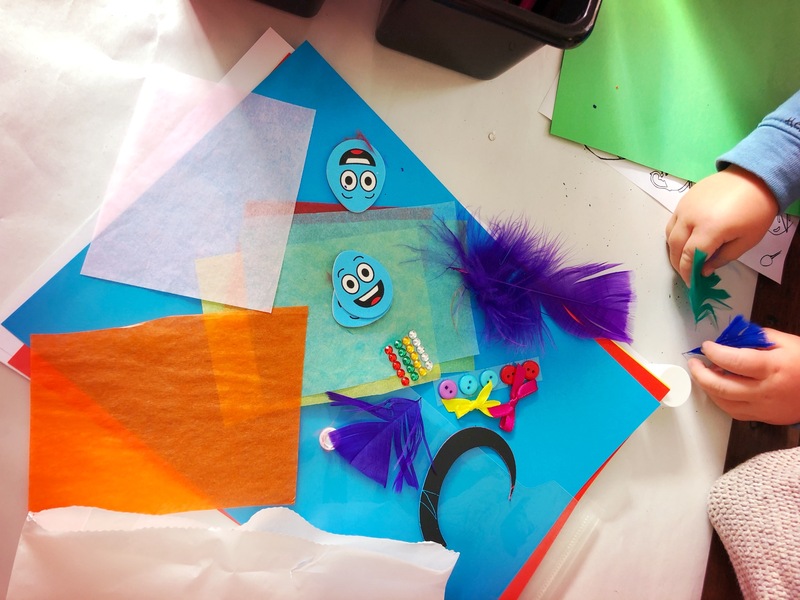 The Crafty Play Cafe is on every Tuesday from 10am to 4pm. You can book sessions from 10am-noon, noon-2pm or 2pm-4pm by visiting the Three Sisters website. (I’d book in advance as you may not get a table behind the baby gate if you just rock up). Until the 23rd October you get a free hot drink if you buy any cake, brunch or lunch item. And a free craft pack for kids (normally £2). If you ever wanted to eat out in a lovely cafe without having to worry about your kid getting bored and you having to snort your sandwich (or worse, leave it behind) this is the place. I mean, what an absolutely brilliant idea this is. The baby gate is just genius and I have no idea why I’ve never come across it anywhere before. I cannot rate this highly enough! OUR FOOD ON THIS PARTICULAR OCCASION WAS VERY KINDLY GIFTED TO US BY THE LOVELY FOLKS AT THREE SISTERS BAKE. HOWEVER ALL OPINIONS, WORDING AND PHOTOGRAPHY IN THIS ARTICLE ARE MY OWN.